Geotripper: You Think Some Fish You Caught Was Tough? How Does it Stack Up Against This One? You Think Some Fish You Caught Was Tough? How Does it Stack Up Against This One? What kinds of fish are tough? Some Marlin that you spent a couple of hours trying to reel in one time in Mexico? A nice two pound Rainbow Trout that fought hard against your fishing skills in a mountain lake in the Sierra? Some Small-mouth Bass in a reservoir somewhere? I doubt any of them can stack up to this little fish. They were out and about last week during our field trip in numbers I haven't seen in some time. It's little, hardly exceeding two inches in length. It's certainly not big enough to take a hook. It doesn't have a mouthful of teeth, and it's not a predator (unless you are a diatom or a clump of algae). So how is this a tough fish? Consider this: it lives in water that can sometimes exceed the saltiness of seawater. By three times. I don't think there is another fish in the world that can do that. And...it can survive in water where the temperature exceeds 100 degrees. Again, I don't think there is another fish in the world that can do that. And one more: the environment in which these fish live can reaching freezing on occasion. No fish that I am aware of can survive such extremes. But these little fish can. On top of everything else about this species is the place where it lives, the last place one would even think of looking for fish: Death Valley in eastern California. The hottest place in the world, and the driest place in North America. 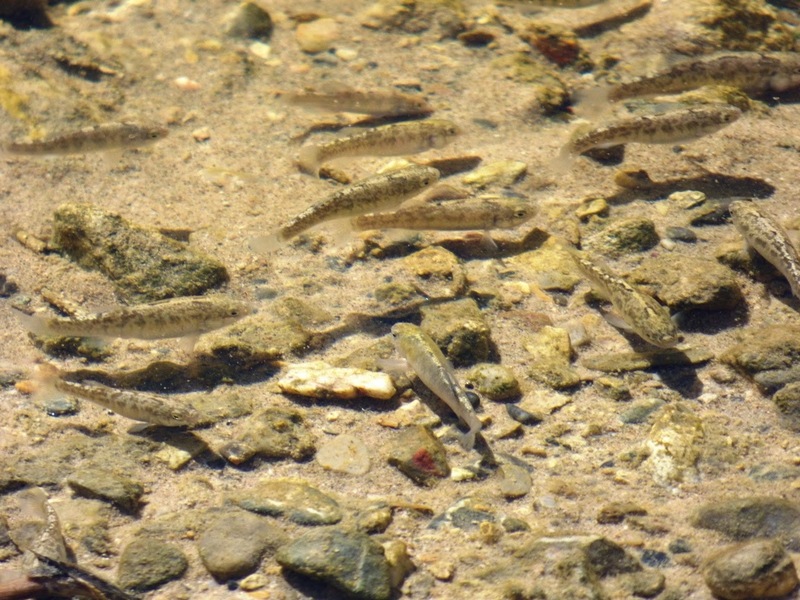 Meet the Death Valley Pupfish (Cyprinodon salinus salinus), sometimes known as the Salt Creek Pupfish. 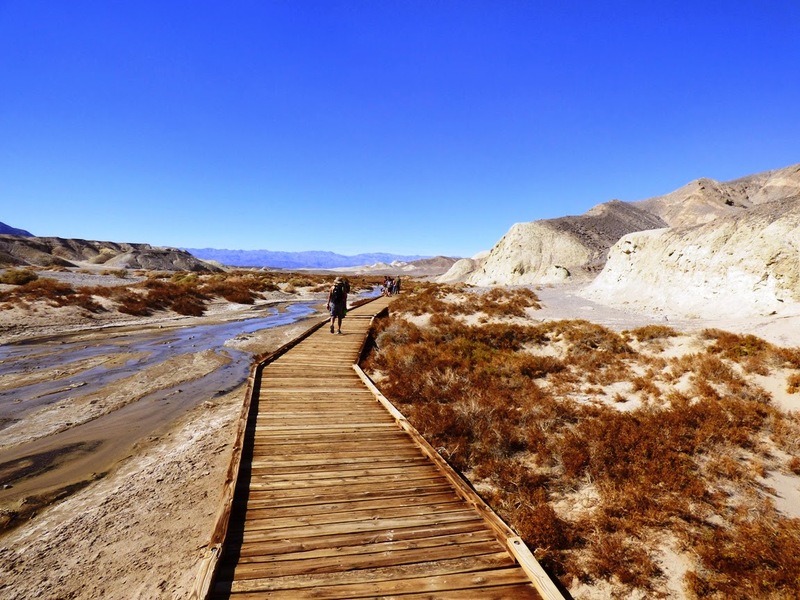 It is just one of nine or so species and subspecies of fish that survive in the Death Valley region. 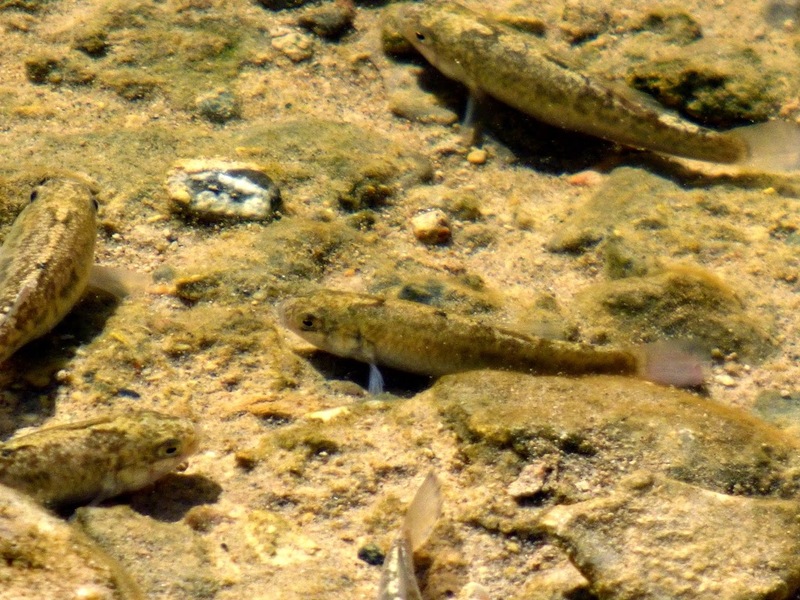 Once you realize that fish are living in Death Valley, certain questions are bound to arise. How can there be water enough for them to survive? How did they get there? And how did there come to be so many species and subspecies ? The first question is perhaps the easiest to answer. 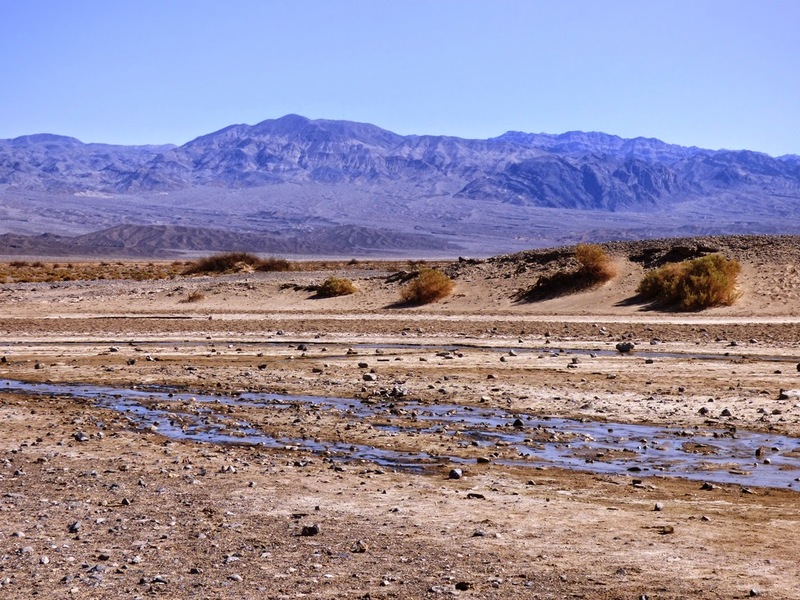 It is true that rain almost never falls in Death Valley, with an average year seeing no more than 1.5-2 inches of precipitation. But Death Valley is the lowest ground in North America, and groundwater flows towards the valley, in some cases from a hundred miles away. Springs and pools form when faults or rock barriers force the water to the surface. These water sources don't depend on the rare rainstorm. It's thought that the water flowing from springs at Furnace Creek or Scotty's Castle has been underground for more than 10,000 years. These stable springs and pools have provided a secure source of water since the end of the last ice age around 12,000 years ago. But how did the fish get there in the first place? We can say that the fish did not arrive under current climate conditions. 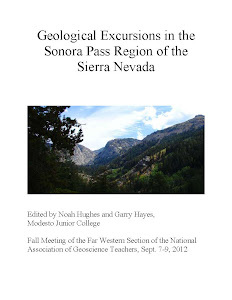 River connections between fault basins could only occur during the ice ages when glaciers covered about 30% of the Sierra Nevada. 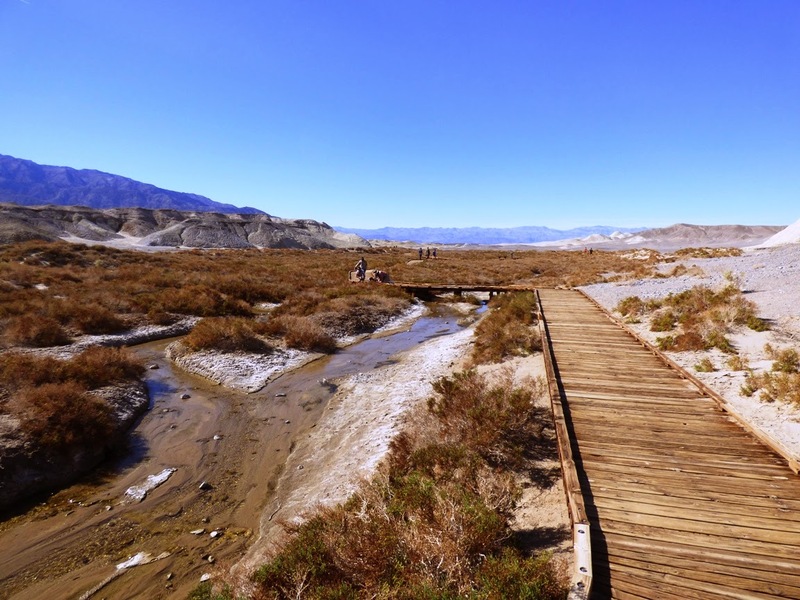 Glacial meltwater drained into the Owens Valley and spilled over into other desert valleys, filling them, and ultimately filling even Death Valley with a hundred mile long freshwater lake. 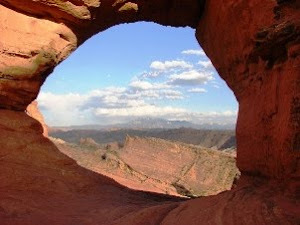 At some point, a connection was made with the Colorado River, and numerous species of fish invaded the ecosystem. But then the ice ages ended. The vast lakes began to dry up, and the fish were forced to adapt or die out. 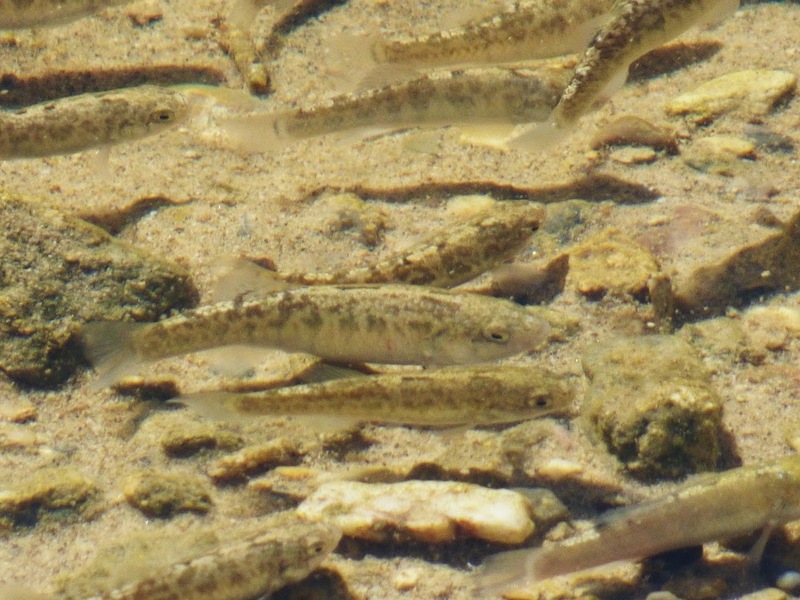 A number of trout species survived in the cool waters of the Carson, Walker and Truckee River drainages, but in Death Valley, it was only the Cyprinodon species. The one species was forced to survive in different environments, water that might be fresh, salty, hotter, or cooler. The single species diverged into many, much as the finches of the Galapagos Islands did. 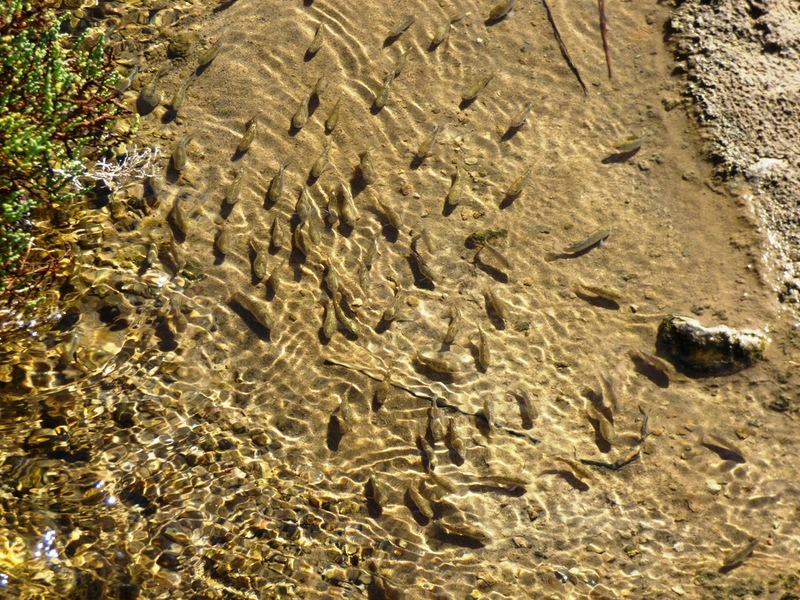 During the spring, the Salt Creek Pupfish expand rapidly into the growing flow downstream. Hundreds of fish become thousands, then a million or more. Most of them are doomed when the extreme summer heat sets in and Salt Creek mostly dries up. 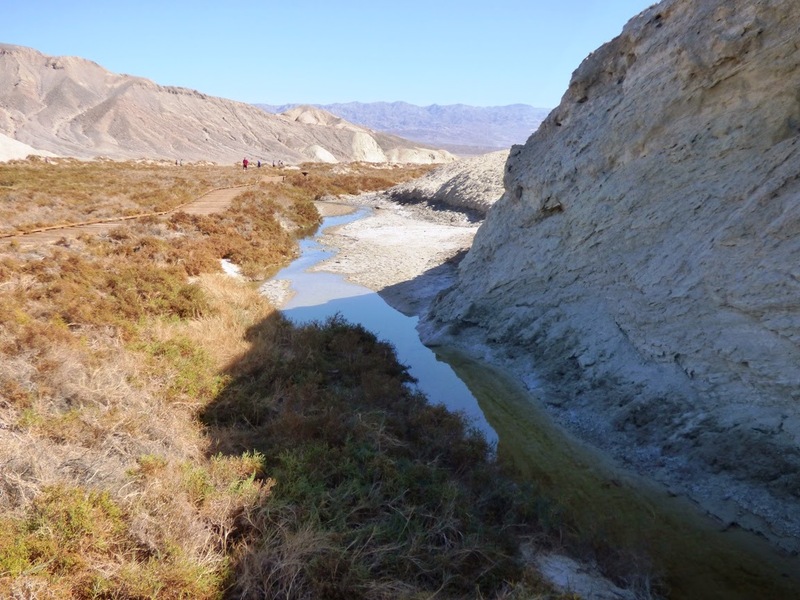 A few find refuge in the pools and springs at the head of the shallow canyon (a canyon that exists on the floor of Death Valley because of faulting). 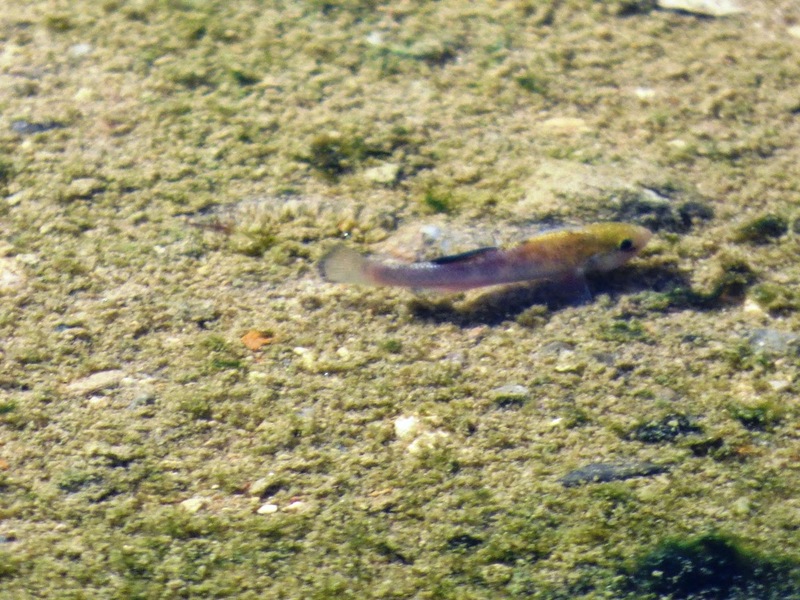 Other species of pupfish are more severely limited. The Devil's Hole Pupfish is restricted to a single cavern opening only a few tens of feet across. It is said to be the most endangered vertebrate species in America and maybe the world. There have rarely been more than 300, and at times the population has dipped to barely two dozen. Their continued survival is obviously in doubt. Toughness doesn't have to be measured by strength or stature. The pupfish of Death Valley show their toughness by surviving in one of the most extreme environments on Earth. They deserve our respect and protection, something we have not always provided. 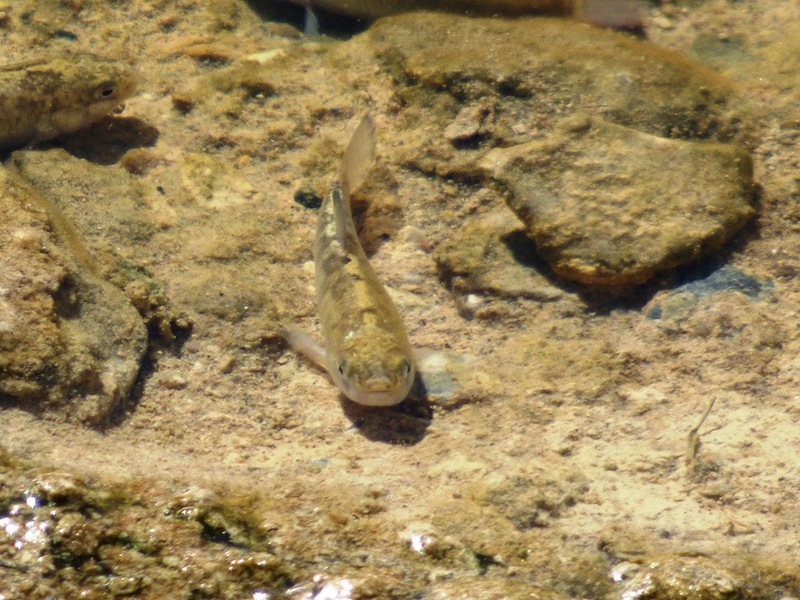 The Tecopa Pupfish (Cyprinodon nevadensis calidae) once lived in two hot springs east of Death Valley. Modifications of the springs in the 1960s to build bath houses destroyed their habitat, and they were gone by 1970. It was the first species to be taken off the endangered species list, not because it was doing better, but because it was extinct. Let's do better with the others. 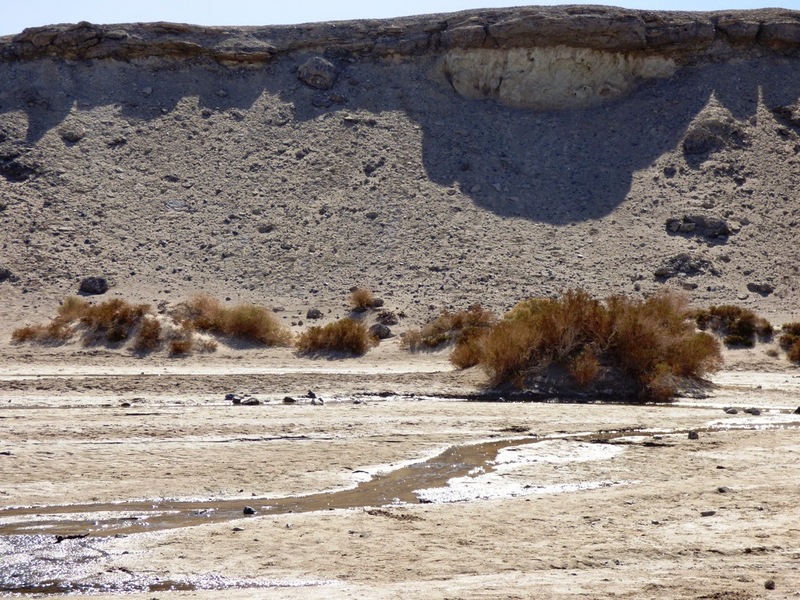 I knew something of the pupfish in Death Valley, but had no idea their habitat (water part) was so old ... neat story!